After rent costs, our family's cell phone contract is our largest monthly bill. Isn't that crazy? Our phones cost more than our electric, satellite television and internet combined. So when I heard about the super affordable new unlimited service from Republic Wireless that uses a new Hybrid Wi-Fi technology, I was intrigued. Republic Wireless offers their unlimited data, talk and text plan for as little as $19.00 a month. This is mind boggling because we currently pay an average of $50 a month for each of our phones. I'm having a hard time wrapping my brain around the fact that we could cut our bill by more than half with Republic Wireless. How can they offer a no-contract plan without limits or overages for such an affordable rate? They do it with the power of Wi-Fi through Hybrid Calling for texting, data and full use of your cell service. What's even better is when Wi-Fi isn't available, the phone automatically switches to unlimited access of the Sprint Network. And with the new Republic Wireless Wi-Fi+ app, it's easy to get automatic access to over 12 million Wi-Fi hotspots! So, you may be thinking this all sounds great but I like my smartphone and don't want to downgrade to a less cool one. Don't worry because Republic Wireless service has cool covered, too. 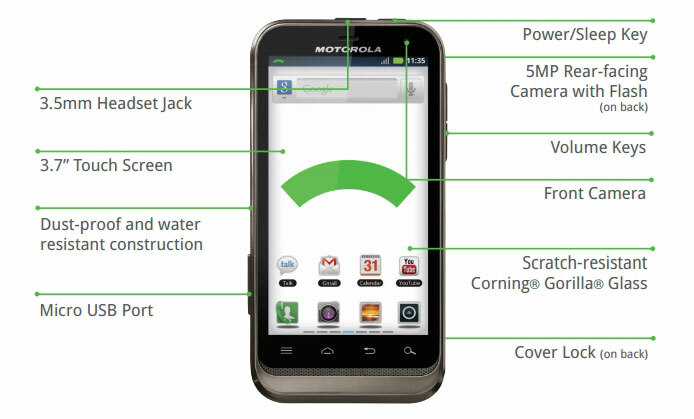 The Motorola DEFY™ XT has everything you want in an Android smartphone. 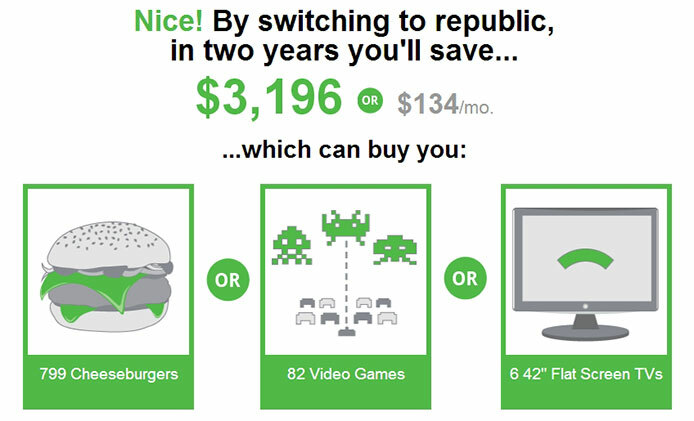 When I used the savings calculator, I found out that I could save a whopping $134 a month if we were able to switch from our current carrier to Republic Wireless. Even after purchasing the Motorola Defy XT phones, we would be saving well over $1,000 a year for our family's cell phone bill! If we were not locked in to our current provider, I would be seriously considering making the switch to Republic Wireless. We will see what happens when our contract is up. Who would like Republic Wireless? Anyone who wants the freedom to take control of their cell phone service would benefit from being a Republic Wireless customer. I like that there is no contract to sign which means no early termination fees, ever. There are also no worries about racking up extra costs since there are no hidden fees and no overage charges for the unlimited service. And, since new members get a 30-day money-back satisfaction guarantee, there's nothing holding you back from trying the service out. I really believe that the Republic Wireless would be ideal for families with children who want smartphones, whether as their first phone or to replace the one they already have. The durable yet stylish Motorola DEFY™ XT from Republic Wireless phone looks great, has a large screen and the kids won't be missing out on anything, while you will have a much smaller bill. Just think of what you could do with an extra $134** bucks (or more!) a month! **this is based on my current plan and what our family would save, your savings will be different. WOW! I’m with you, if I weren’t lock into my current plan I would be checking them out. It’s nice to know that we have options now where before we did not. Thanks for sharing the info. It’s amazing what they’re coming out with these days! I’ve never heard of them, but it sounds like a great plan. Too bad I still have about a year and 10 months left on my Verizon Wireless contract lol. I can’t wait to hear more about this company. I’d love to know more about the reliability and coverage areas. I’m waiting to hear if they’ll be coming out with other phone styles as well. Also, my brother-in-law has a regular Sprint plan and he seems to get good coverage — it’s certainly an interesting concept! It definitely sounds interesting and I love the savings. Makes me wonder what we’d save…..might have to use the savings calculator myself…. We’d save $1581 in our first year! Wow…..I think we are coming up to the end of our contract but I’d like to know reliability and coverage, like Kim. Finally such a wonderful system appeared, because I`m tired of paying crazy bills for my telephone. You`ve calculated the sum of money you are saving thanks to this system and I was really shocked. I should definitely try this too.